If the subtitle actually listed everything George Henry Hurst or the various companies he founded or that bore his name thought up, it would take up the whole page! From growing a business out of nothing into an automotive icon, to being thrown in jail for bribing the IRS, to writing a religious work of fiction, to an early death by suspected suicide, Hurst’s life (1927–1986) was busy and complicated, troubled even—and has never yet been told even though it is over 50 years since he first set up shop. 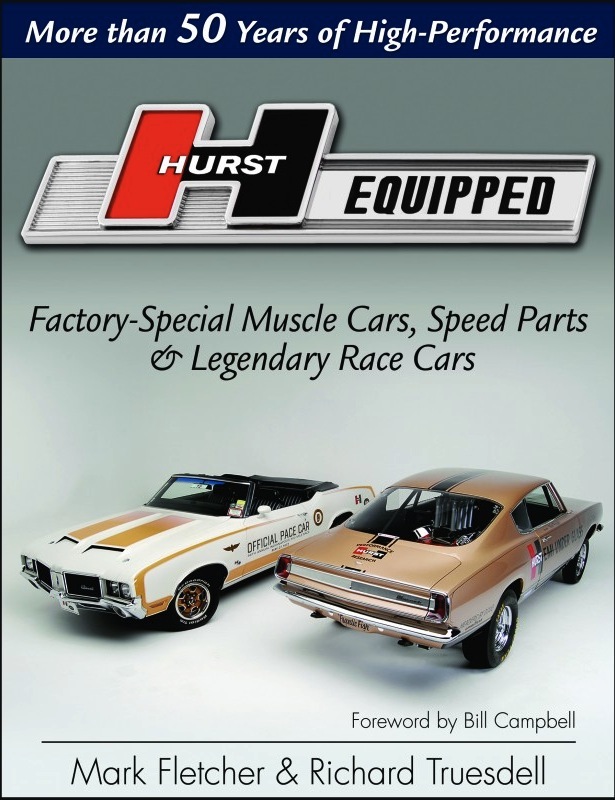 If you were of driving age in the 1960s and took an active interest in driving, Hurst Performance was part of your everyday vocabulary. The precision shifters were de rigeur on the track and then the street, the Miss Hurst Golden Shifter Girls (Long Live Linda!) added—PG-rated—spice to the marketing, the trackside Hurst Shifter Hospital presided over by Jack “Doc” Watson aka the Shifty Doctor could save your day (and for free), etc. etc. etc. Hurst fielded cars at the Indy 500, the salt flats, the Baja 1000; his products were so competent and ideas so innovative that auto manufacturers who witnessed the emergence of a lucrative aftermarket for tuner parts and custom builds had no choice but to offer Hurst-branded parts and even complete cars as a dealer, if not a factory option. This is already a plenty long list—and it barely scratches the surface. Not everything Hurst and his cohorts cooked up was worth doing or made sense. Still, full marks for always, always using the old noggin. Authors Truesdell and Fletcher competently paint a rich picture and you’d never know that the book had originally been assigned to someone else. In a pinch, the publisher turned to veteran magazine editor Truesdell (Chevy Enthusiast, Car Audio and Electronics, Automotive Traveler) who then tapped Fletcher (magazine writer, muscle car enthusiast, and owner of a Hurst SC Rambler). Both men share an interest in AMC, handy because that firm plays a significant role in Hurst history. It took them four years to trawl archives and take stock of published sources, talk to former Hurst folk, hunt down new material, fill the gaps and tell as complete a story as is possible. 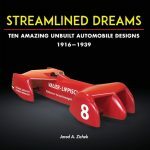 The focus of the book, then, is on the products, the engineering, and a particularly fertile period of American car culture in general. The chronology of this multi-tier story has many overlapping aspects and is thus presented by key topic. It cannot have been easy to pursue so many facets and still keep the book cohesive and at a manageable size (and, hence, price)! Surviving Hurst cars have become supremely collectable and the many period photos are augmented with modern photos of restored cars. There are also build sheets, ads, and brochures. 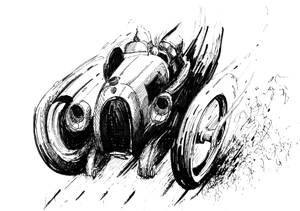 A good number of the over 340 illustrations have not been seen for decades and are sourced from the archive of Peter Serio who has run Precision Pontiac for more than 20 years, has a vast trove of original Hurst material, and authored the two-volume definitive compendium Vintage Hurst Shifters. Even though the authors felt the need to apologize for the “lower quality” of some of the old and rare illustrations, the reproduction is just fine and mostly really good, as are paper and printing! If there is a weakness it is the uninspired typography. Good Index. 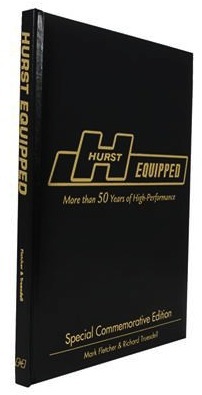 If you have or know Hurst equipment, this long-overdue and, dare one say, “fun” book will tidy up many disparate ends; if you don’t, the book is a veritable eye-opener to [a] one man’s quest to grab life by the tail and [b] a plethora of innovations that seem new and certainly relevant even today: nimble, specially-equipped rescue cars; an early version of a “smart car” that can detect driving conditions and communicate them by voice alert to the driver; and the really obvious bit: that automakers themselves should be able to build a better or more “fun” car! 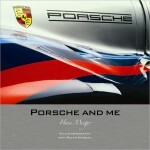 A leather-bound numbered limited edition of 500 copies is available from Flowmaster, The Exhaust Technology Company (part of the B&M Racing and Performance Products group of companies that in 2007 acquired Hurst Shifters) for $49.95.